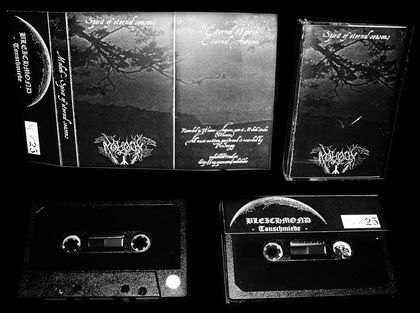 Recorded at Moloch studio (Ukraine) between Winter - Autumn 2008 with 4-trax reel-to-reel recorder. Photos for all editions were made by Sergiy Fjordsson in the woods of Ploskyriv (Khmelnitskiy). 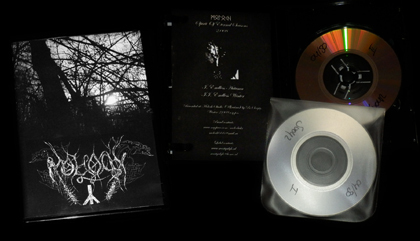 This is edition of Perpetuam Productions (Portugal). Printed in 2008 with 2 sided pro-cover (catalogue number PER001). Limited to 100 copies only. This is edition of Svartgalgh Productions (The Netherlands). Printed in 2010. Double mini 3"CDR in mini dvd case with black/white cover and inlay card (catalogue number Sv042). Limited to 50 copies. This is edition of Bleichmond Tonschmiede (Germany). Printed in 2010. 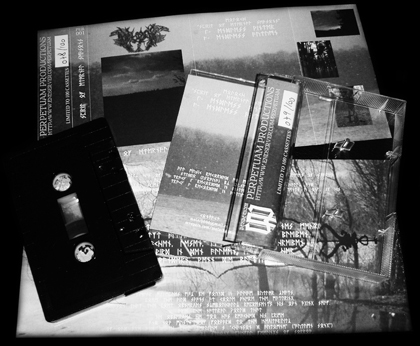 Cassette limited to 25 copies with one sided black/white xeroxed cover. No Vinyl, Digital and CD editions for this EP at the moment.